The snow is still piling up here, which makes trudging through the park to the boathouse difficult—especially if you’re skidding around on four feet instead of two. 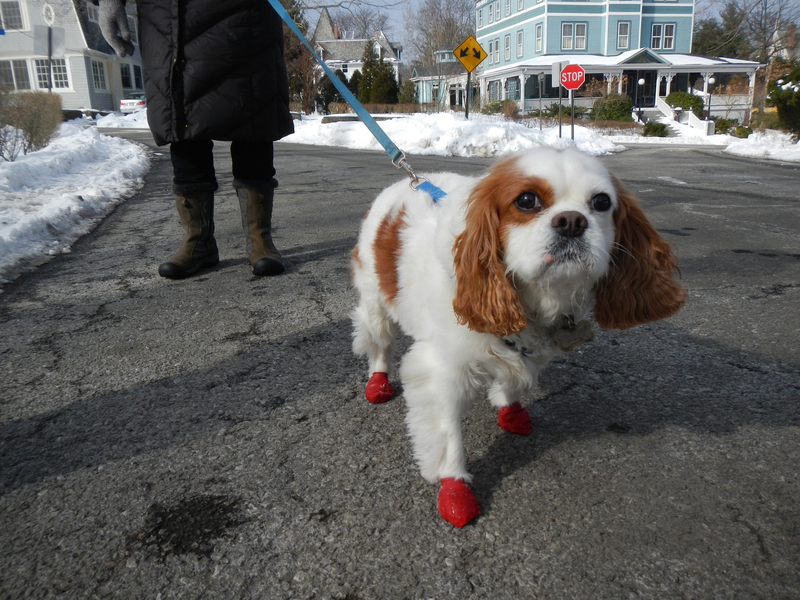 Here, Jim’s dog, Charlie, dons his PAWZ booties for a Sunday stroll through Manor Park with Pat. 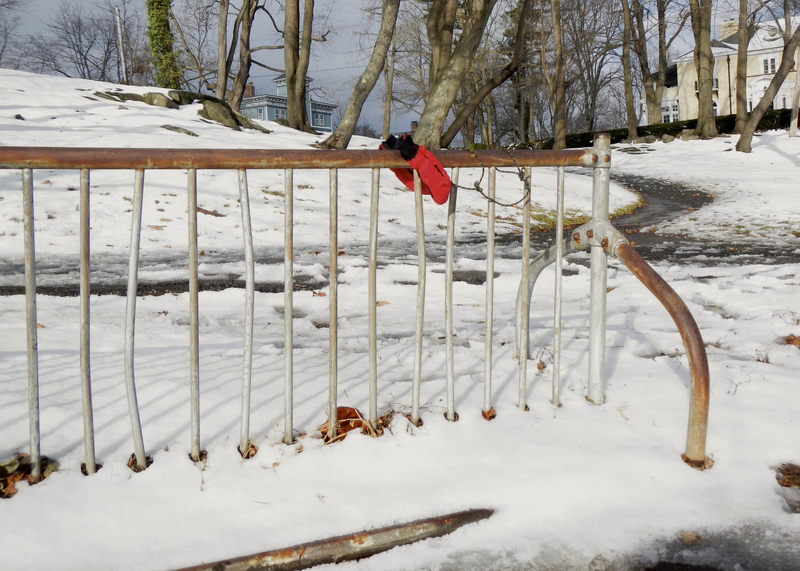 How much longer must we endure the depths of winter? 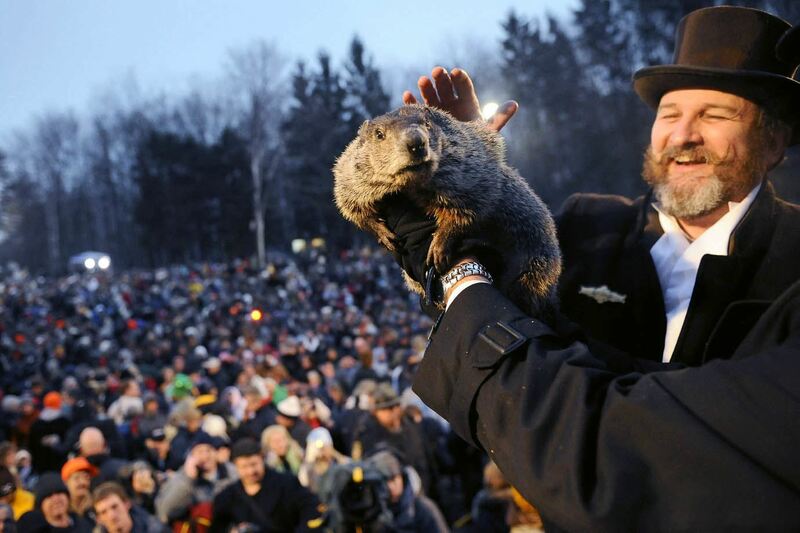 Charlie leaves that to Punxsutawney Phil, THE groundhog of Groundhog Day (Feb.2). 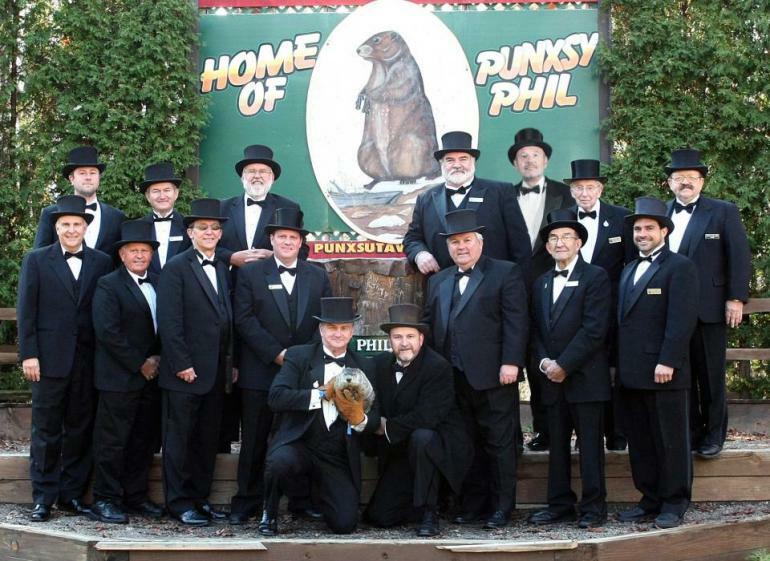 On this date for the past 129 years, Phil has been prognosticating, amid great fanfare, the early arrival of Spring vs. six more weeks of winter. 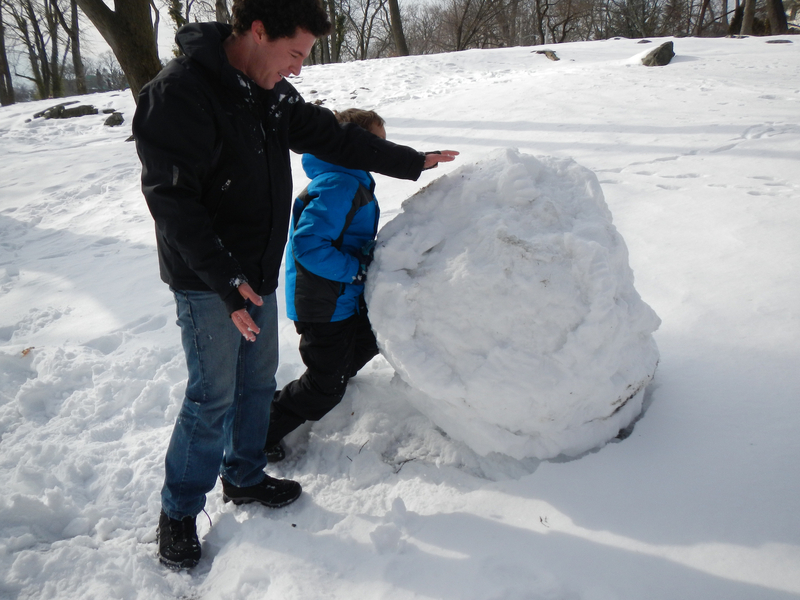 Hash Tag: Six More Weeks of Winter!